Two of the pillars of U.S. magazine publishing, Hearst and Condé Nast, have exited the magazine distribution business and sold their share(s) in Comag Marketing Group (CMG) to the Jim Pattison Group (JPG)of Vancouver. It should have a major impact on the single copy sales and marketing business. JPG is a privately owned BC-based conglomerate which owns the News Group, North America's largest magazine and book wholesaler. The deal involves entering into a long-term distribution agreement with the two publishing companies and letting them concentrate on their core competencies, , according to a company release.The CMG headquarters will remain in Princeton, New Jersey. "JPG's purchase of CMG represents a watershed moment to enhance the current supply chain model by properly aligning the economic models, which will better serve the needs of publishers, wholesalers and retailers. It is designed to migrate focus from inter-channel tension to a renewed collaboration with the retail trade on brand marketing and consumer promotion, ultimately growing the magazine category -- which is our overarching goal." CMG has been jointly owned since 2000 by Hearst Corporation and Condé Nast Publications, Inc.providing sales, marketing and promotional services in the mass market, direct-to-retail and specialty market channels. Hearst is one of the world's largest publishers of monthly magazines, with 20 U.S. titles and more than 300 international editions, more than 28 websites and 14 mobile sites and has published more than 150 applications and digital editions for mobile and tablet media.Condé Nast publishes 18 consumer magazines, four business-to-business publications, 27 websites nd more than 50 apps for mobile and tablet devices, all of which define excellence in their categories. The company also owns Fairchild Fashion Media (FFM). JPG is involved in automotive, media, packaging, food sales and distribution, magazine distribution, entertainment, export and financial industries and had sales of over $7.2 Billion in 2010. With more than 33,000 employees, the Jim Pattison Group is the third largest private company in Canada. Two of Canada's A-list universities -- Western and University of Toronto -- have settled with Access Copyright on a licensing agreement to reproduce copyright-protected material in both digital and print format. The deal is that each will pay Access Copyright $27.50 per full-time student annually to cover reproduction of copyright material for student use. The fee is less than Access is seeking in tariff negotiations at the Canadian Copyright Board, but does cover digital use and does put an end -- at least for these two leading schools -- to a contentious dispute over fair compensation for creators of written and visual material used by students. “We welcome this opportunity to work in partnership with Western and U of T” said Maureen Cavan, executive director of Access Copyright. “The education and publishing industries depend on one another. An agreement that provides for usage of content, fair compensation to those that provide the content, with rules that favour sustainability, is in the interest of all players” said Ms. Cavan. The agreement is back-dated to cover digital uses not covered by previous agreements and will be used until 2013, with an automatic annual renewal. A method is being explored to assess and sample the actual amount of copying being done of copyrighted materials to assist in setting the royalty in following years. Last fall, the Copyright Board rejected attempts by Canadian universities and colleges to force transactional, pay-per-use licenses rather than comprehensive licenses that had gone before. At issue, among other things, was the use of digital copying, never contemplated or covered by previous tariffs. And Access argued that the pay-per-use model (without any means to monitor or track it) was an invitation for copyright violation. Higher education and Access have been working under (and arguing over) the terms of an interim tariff, pending the conclusion of a drawn-out Copyright Board process to settle on a permanent tariff. The interim tariff gives permission for day-to-day copying by instructors, students and administrators; production of paper coursepacks; and the option to make digital copies. Access's principal role is to collect the fees and distribute them to the creators. We imagine that the brass at St. Joseph Media are reeling as it has been reported Susie Sheffman, fashion director at Fashion magazine is leaving to be fashion director at Dealuxe, an online shopping site; only a couple of weeks ago, Sheffman's second-in-command and Fashion's market editor, Jordan Porter, also left to join Dealuxe . Dealuxe has the distinction of being a Canadian shopping site (many are American franchises) and of publishing online magazine content. The site was founded by Joanna Track,who was the founder and executive publisher of the lifestyle site Sweetspot.ca (now owned by Rogers Media). Dealuxe, focuses more on fashion and style. The competition for established fashion titles is coming thick and fast: the launch of online beauty magazineThe Kit, led by former Fashion publisher Giorgina Bigioni took a bite out of the cosmetics and beauty products category and, with its recent sale to the Toronto Star, has added fashion coverage and created a weekly print vehicle distributed with the paper. Sheffman has been a leader in fashion publishing, having been fashion director at Flare and being a contributing editor at Fashion. In 2001,she took over as fashion director. Last November, she was given an award as best fashion editor at the annual P & G Beauty Awards. Cineplex magazine, published by Cineplex Entertainment, will now be distributed in two Postmedia newspapers the Montreal Gazette and Vancouver Sun in addition to its insertion in the Globe and Mail. The magazine has a total circulation of 700,000, of which half will now be delivered with daily newspapers, effective with the February issue; 89,704 copies per month in the Gazette and 107,990 copies per month in the Sun. The rest are distributed in 120 Cineplex theatres across the country. The magazine has already been distributed through The Globe and Mail in Toronto (GTA), Montreal, Ottawa, Calgary and Vancouver. "Not only does Cineplex Magazine have the highest circulation of any entertainment magazine in Canada, but the increased newspaper distribution means we'll reach more Canadian homes every month," says publisher Salah Bachir in a release. "We're very excited about this increased presence in Montreal and Vancouver." Cineplex Inc. ("Cineplex") is the largest motion picture exhibitor in Canada and owns, leases or has a joint-venture interest in 130 theatres with 1,352 screens serving approximately 70 million people annually. A former Bay Street money manager has purchased Canadian MoneySaver magazine and will publish it out of an office in Kitchener. According to a story in the Waterloo Region Record, Peter Hodson, 48, left his job as chair of Sprott Asset Management, a leading investment firm, and bought the magazine because he wasn't having much fun. Certainly Canadian MoneySaver will get him lots of exposure to the retail investor. The 31-year-old magazine doesn't accept financial industry ads and instead is dedicated to practical, common sense advice on personal finance. The magazine was started in 1981 in Kingston by Dale and Betty Ennis, operating off their kitchen table. The couple will be remaining on the masthead for now advising Hodson, who plans to beef up marketing and redesign the magazine, though keeping its very popular detailed charts listing performance data for major mutual funds and stocks. In addition to running the magazine out of his Kitchener office, Hodson also runs 5i Research Inc., which provides financial advice to its members, but doesn't deal in securities. An analysis by MastheadOnline of ABC circulation figures shows that the volume of mailed subscriptions has declined 18% over five years (June 2006 - June 2011). The impact for Canada Post is obvious, but it is also a bellwether for the magazine industry , as alternative means of distribution -- more single copy sales, more bulk distribution and more piggybacking with newspapers -- have increased 3.1% over the same period, during which total circ per issue of ABC-monitored titles declined 10.7%. The data was reported to a Toronto chapter meeting of the National Association of Major Mail Users. "If the ABC numbers are indicative of the entire industry, they suggest a couple of things," says MastheadOnline publisher Doug Bennet. "One, the higher-than-inflation price increases at Canada Post over that time may be a disincentive. Secondly, the changes in funding formulas introduced by the new Canada Periodical Fund may be having an affect." The new rules of the Canada Periodical Fund allow single copy sales to count towards the funding formula, whereas its predecessor postal subsidy had left them out of consideration. As a result, publishers have an incentive to pump up single copy and other accepted circulation means, at the expense of mailing with Canada Post. The window is closing for the early-bird rate to enter the Kenneth R. Wilson (KRW) Awards for the best in business press from the year 2011. Submissions are now being accepted in 22 categories for gold and silver Awards, to be presented at the 58th annual KRW Awards on June 7, 2012 at the Carlu in Toronto. The deadline for all submissions is February 3, 2012, but submissions by January 27 at 5pm get the early bird rate of $110 per entry. The regular fee (after January 27) is $135. Membership in a business-press association is not required for entry. The KRW Awards program is open to all specialized business-to-business media written and produced in Canada in either English and/or French, regardless of association membership. Editorial staff, contributors, freelancers, designers and people engaged in co-operative efforts with the publication may enter. They do not need to be full-time employees of the publication/or web site. Please see Guideline. Jocelyne Morissette, who has been in charge of website development and management of flagship media and magazine-related brands such as Coupdepouce.com, ElleQuébec.com and Recettes.qc.ca and in the management of women's portals, has been named to the new position of general manager, multiplatform media development at TC Media (formerly Transcontinental Media). At the same time, Pierre Tremblay was appointed general manager, multiplatform media production. Tremblay was the director of Quebecor’s Agence QMI. He was, in 2003, the first director of Argent, the financial and business information channel. A release said the team's responsibility will be to establish synergies between the various divisions, to develop multiplatform projects based on electronic media, particularly television and webcasting, and to develop business relations with the various broadcasters who work with TC Media. The Canadian magazine industry has long relied on Michael Fox as its primary expert when it came to understanding the vagaries and the economics of Canada Post. Fox, who has long worked in circulation at Rogers Publishing and, before that, at Maclean Hunter, and is now senior vice-president, circulation, is retiring at the end of this month. He first joined Maclean Hunter in 1974 as an editor working for the old Financial Post, which he was later instrumental in taking it from a weekly to a daily after moving over into circulation. Perhaps Michael’s most important contribution to Rogers Publishing in recent years has been his active involvement in government relations and the relationship he has built directly with Canada Post. He has been extremely influential in championing our interests day-to-day and in crisis situations. 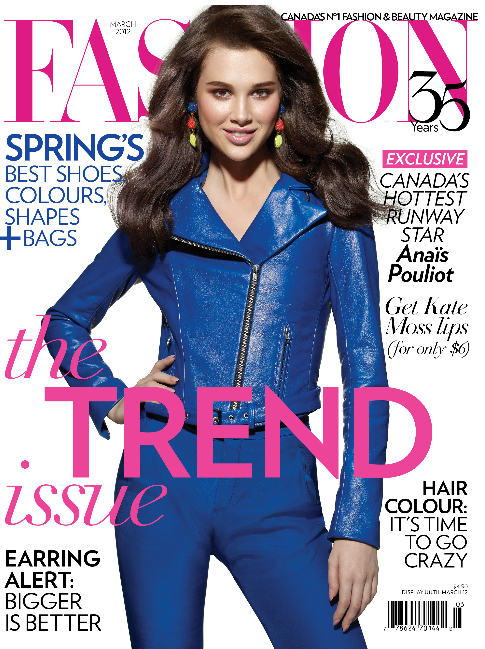 Over the years, Fox has chaired and served on a great many industry committees at Magazines Canada and elsewhere. Magazines Canada named him volunteer of the year in 2005 and CMC Circulation Management Association made him Magazine Marketer of the Year in 2002. He is honorary lifetime member of the Canadian Direct Marketing Association and has been on the Magazine Directors Advisory Committee at the Audit Bureau of Circulations. As part of a spree of acquisition, particularly in the food and recipe area, Meredith Corporation has confirmed that it is buying Allrecipes.com from Reader's Digest Association (RDA). The resulting $175 million transaction means that the 13-year-old site, which reaches 100 million Americans and has sister sites in 22 countries, will double the Meredith Women's Network (Better Homes and Gardens, Family Circle, Fitness, More etc.) to nearly 40 million unduplicated monthly visitors, according to a story on Folio:. The deal will complement Meredith's October 2011 purchase of Every Day with Rachael Ray (also from RD) and Eating Well in July 2011. Meredith's recently launched Recipe.com (in print and digital) will remain separate from Allrecipes for now. RDA announced its plans to focus on its “master brands” in fall 2011, [said the Folio: story] which include Reader’s Digest, Taste of Home and The Family Handyman. Since the announcement, the publisher continues to par down its content portfolio along with its staff; the publisher cut 150 positions worldwide in December. “There’s nothing wrong with the magazine form that constant diligence won’t fix." -- Esquire magazine editor in chief David Granger, quoted in a New York Times story by its media columnist David Carr, about how the magazine survived the recession and in 2011 was up 13.5% in ad pages. Mitch Dent, who was instrumental bringing the Today's Parent Group into the fold at Rogers Publishing in 1999 is now to head up the entire Rogers television sales force. Previously, as executive vice-president of sales, Rogers TV, he was responsible for Citytv and OMNI television; now he has added responsibility for Sportsnet and Specialty Television sales. Dent has been with Rogers Media for 13 years and after integrating TPG into the company, moved over to be senior vice-president consumer publications, where he was responsible for sales at Maclean's, Chatelaine, Flare and Canadian Business.He then made the move to Rogers TV. Reuters considers getting into the magazine business after its success with a one-off for next week's World Economic Forum in Davos. They produced 11,000 copies of a hurry-up, 64-page test issue -- 5,000 for Davos, 6,000 for clients and others, according to a story on Poynter.org. “I would be very surprised if there wasn’t a print product in our future,” said Jim Impoco, executive editor of Thomson Reuters Digital. “We’re having pretty extensive conversations about it right now....We feel there is an opening for a magazine along these lines, a sophisticated, well-designed magazine that doesn’t dumb down” its financial, business and foreign policy coverage, he said. He hastened to add that, because Reuters is principally in the digital, electronic news business, they can afford the luxury of doing a print magazine. According to a posting on the Toronto Freelance Editors and Writers listserv by Stephen Kimber, Rogers Communications Chair in Journalism at King's and a columnist for the Halifax Metro, it would be a two-year limited residency program, with two, two-week summer residencies in Halifax and two one-week winter "publishing" residencies, one in New York and one in Toronto. Students will work one-to-one and in small groups—face to face and online—with the country's best nonfiction writers and teachers, and graduate with a complete book proposal and a substantial portion of a finished book manuscript. -- Rogers Publishing spokesperson Suneel Khanna, quoted on behalf of Hello! Canada in the Toronto Star. He was responding to a story from the Leveson inquiry in London (sparked by the phone hacking scandal) in which the editor of Hello! in Britain said that 70% of what she publishes is pre-approved by the celebrities they write about. Three women leading in magazines' evolution beyond the printed page will be speaking at this year's State of the Magazine Nation event, The Page is Changing, presented by Magazines Canada. "The event will focus on how magazine brands are extending great content beyond the printed page to multiple platforms, giving consumers what they want, when they want it and where they want it," said a Magazines Canada release. Shelagh Stoneham, VP Brand and Marketing Communications, Rogers. The March 1 event will be hosted in Toronto at the Bram & Bluma Appel Salon, Toronto Reference Library, 2nd Floor, 789 Yonge Street (one street north of Bloor). Registration and continental breakfast begins at 8:00 a.m. with presentations running from 8:30 to 10:00 a.m. There is no cost to attend. To register online. Are magazine cover subjects becoming more racially diverse? It would be interesting to hear if readers are noting a trend among Canadian magazines to put more diverse faces on their covers. I'm asking because of an article in the Guardian's women's blog noting that, in Britain, a lot of attention is being paid because of cover choices being made by mainstream magazines. 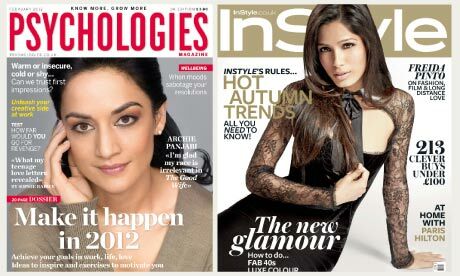 For instance, British-born Indian actress Archie Panjabi on Psychologies (above, left) and Freda Pinto on InStyle. The article's author, Anita Chaudhuri, wonders whether such changes matter. Chantal Hébert, the national affairs columnist for The Toronto Star will submit herself to a conversational Q & A with John Fraser, the Master of Massey College in Toronto on Wednesday, January 25 at 7:30 p.m. It's one of the occasional press club nights at Massey, with no RSVP and no fee required; just show up. There's coffee, tea and a cash bar afterwards. In addition to her Star column and feature writing, Hébert is well known as one of the CBC National "At Issue" panelists. ABC Life Literacy Canada has found a creative way to fundraise by selling the letters of the alphabet to corporate sponsors in its Letters for Literacy campaign. Now in its 3rd year, it is an opportunity for magazine/media companies to step up in promoting literacy. By purchasing "exclusive" rights to an individual letter, sponsors make a commitment to support ABC's literacy campaigns and resources. Funding goes to such things as Family Literacy Day, LEARN awareness campaign, and the development and production of free literacy resources to non-profit literacy organizations, schools and libraries. Some letters are already spoken for; among those sponsors already signed on are De Beers Canada (the letter D), Homewood Suites by Hilton (T), Ernst & Young (E) and Gowling Lafleur Henderson LLP (G). Also spoken for are H, N, P, R, S and U. The deadline to purchase one of the 16 letters that remain is March 16. The Magazine, a magazine and custom publisher focussed on the teen and pre-teen audience, has been purchased by Kairos Transmedia. No price or terms were revealed in a release. Established in 2000, The Magazine publishes 8 regular issues a year. "We are very excited with this acquisition," said Becky Brown, The Magazine's newly appointed executive vice president. "We're looking forward to establishing a solid presence in the United States as well as continuing to pursue our on-line properties in working closely with Kairos' other media interests. Our specialty publication sector is one of the fastest growing and most progressive spaces and thanks to Kairos' acute understanding and demonstrated expertise regarding growing businesses - our future has never been brighter." Toronto-based Kairos is involved in publishing, custom and online publishing and television and film development through its Spillwall Productions division. It also offers media literacy classes for children through thedirectorscut.ca. Gary Campbell, the executive producer of St. Joseph Media (Torontolife.com etc.) and a key individual in its digital publishing operation is leaving the company to pursue upspecified "personal projects". "I plan to spend the next few months pursuing personal projects that leverage my digital design talents as a maker of innovative things," Campbell says. "I also plan to continue developing my Aggregation magazine project*. Indeed, issue #7 is in the works now." Campbell has been with SJM for eight years, first as art director and web evangelist at Quill & Quire magazine and since then as a member of the separate digital team at St. Joe's responsible for all design and creative direction for the websites of Toronto Life, FASHION, Quill & Quire, Where, and Ottawa Magazine. We see Gary’s collaborative work and passion for online excellence evidenced in the awards arena as projects that he has been involved with have won over 20 gold, silver or finalist placings in National Magazine Awards, Canadian Online Publishing Awards and KRW Awards programs to name a few. *In addition to his work for SJM, Campbell is the founder and creative director of online magazine called Aggregation, which he describes (and I'm paraphrasing) as a laboratory for the digital magazine of the future. Each of its (so far 6) issues publish five individuals who provide, in context, five links to a miscellany of stories found on the internet, sometimes discovering in the process the unexpected. Magazines Canada renames ad-edit guide a "Code of Reader & Advertiser Engagement"
Magazines Canada has changed its longstanding advertising-editorial guidelines, adding a new preamble and renaming them the Canadian Magazine Industry Code of Reader and Advertiser Engagement. These guidelines were developed in 2010 by a Magazines Canada national task force and have been incorporated into the association's membership criteria as they serve to guide members about best practices for positioning advertising and editorial content. The purpose of the guidelines has always been to ensure quality products for readers by preserving the integrity of both advertising and editorial in magazines. In that spirit, the Advertising-Editorial Guidelines have been repositioned as the Code of Reader & Advertiser Engagement. While the content has not changed from the task force's original 2010 document, the new title and preamble is intended to recognize that publishers and advertisers must work together in a transparent way to foster and preserve reader engagement and trust. Reader studies consistently indicate that editorial and advertising are equally important parts of the reader experience and that a clear distinction between the two, free from ambiguity, is vital. Magazine readers value both editorial content and advertising as sources of information. The integrity and long-term viability of magazines depends, however, on a clear distinction between the two -- without it, both editorial and advertising lose credibility with the reader. The following guidelines are intended to help editors, publishers and advertisers maintain an industry-wide standard for preserving this crucial distinction. The guidelines have been designed so that both editors and advertising sales teams clearly understand them, and are able to confidently communicate them to customers. The editor and editor's designate should have the opportunity to monitor compliance with these guidelines, complete with ample time to recommend necessary changes prior to pubication. The ultimate responsibility to follow the guidelines rests with the publisher. Readers expect that magazine content will educate, entertain and inspire confidence in products and services wherever and however they engage with their favourite magazine brands. Sandbox, a Winnipeg-based online and print magazine about local art, fashion and lifestyle, will publish its final issue January 30. The magazine only last summer was named best new magazine of the year at the Western Magazine Awards. "In just two years, Sandbox has become more than just a magazine," said editor Jeffrey Vallis in a Facebook post. "It’s become a community of talented and creative local artists that will live on far beyond the final issue. Sandbox has given us all an outlet to foster the sentiment that lead us to launch the magazine in the first place: Winnipeg is truly amazing. Thank you to our most faithful readers and fans, and to our incredible, tireless team of contributors." The final issue will be available exclusively at McNally Robinson Booksellers in the Grant Park Shopping Centre and a farewell party is being held at the Winnipeg Art Gallery January 28. According to a post on the blog ChrisD Sandbox was launched in 2010 by Vallis and Braden Alexander and funded by newsstand sales, ads and proceeds from magazine release parties. To celebrate its first anniversary last December, the publishers put out a mammoth 108-page special print issue (shown). Sandbox appeared four times a year in print and 8 times online. Some 2,000 customers who were stiffed last year by the sudden closure of Harrowsmith Country Life and who bought their subs through the Rogers subscription service are being sent Garden Making magazine for the balance of their term, according to a story in Mastheadonline. "Garden Making is a relatively new but already award-winning quarterly magazine directed at Canadian gardeners. The magazine is published by Inspiring Media in Niagara-on-the-Lake, with Michael Fox, a senior vice president at Rogers Publishing, listed as publisher. However, Garden Making is independent and not affiliated with Rogers. "The letter states subscribers will receive Garden Making for the duration of the Harrowsmith subscription they have already paid for. Following that, subscribers have the option to continue receiving Garden Making for $19.95 a year." Matt O’Grady has been appointed executive editor of Canadian Business magazine. He had for three years been the editor-in-chief of BCBusiness magazine in Vancouver until he resigned last May over the spiking of a major story by publisher Peter Legge. In the interim, he has been working as editor-at-large at Report on Business magazine. A memo to staff from CB editor Duncan Hood said that O'Grady will edit the Performance section, research and write features and work with the other editors "to develop the overall personality, look and feel of the magazine". He has worked as an associate editor at both Vancouver and Western Living magazines after completing a master of publishing degree from Simon Fraser University. Before that he had worked as an intern at Harper’s magazine. The deal for the Kobo e-reader closed today, with the Japanese technology giant Rakuten paying $315 million U.S. to Indigo Books and Music. According to a story on Quill & Quire's blog, the Kobo management team remains in place and headquartered in Toronto. The deal was recently approved under terms of the Investment Canada Act. 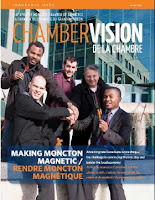 Metro Guide Publishing of Halifax is to contract-publish Chamber Vision, a bimonthly magazine produced on behalf of the Greater Moncton Chamber of Commerce. The first issue is January/February 2012 and will be officially launched Friday. The magazine will be distributed free to 875 members of the chamber by mail as well as being sent to select postal codes throughout the Moncton, Dieppe and Riverview areas inserted in the Times & Transcript. Metro Guide Publishing, which is owned by Advocate Printing and Publishing, produces 15 publications, reaching 3,000,000 readers in seven market sectors—tourism, business, homes, lifestyle, arts and culture, entertainment and shipping and transportation. It publishes Halifax Magazine, East Coast Living and Where Halifax under license to St. Joseph Media, and various guides and programs for such organizations as Symphony Nova Scotia and the Neptune Theatre . 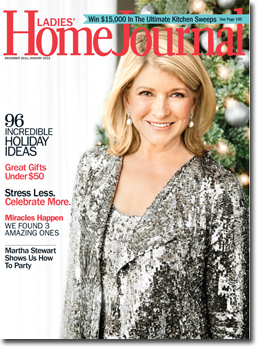 In a surprising development, the venerable Ladies' Home Journal (Meredith Corporation) will now be featuring reader-written content in almost every story in the magazine, starting with its March issue, which will also be substantially redesigned by Pentagram, the well-known New York design firm. Reader-contributors will be identified largely through Meredith's network of blogs and the contributors will be paid on a similar scale to staff writers (a significant departure from blogs like the Huffington Post, which pay their contributors with "exposure".) Staffers won't lose their jobs; they will fact-check and work with reader-contributors on their stories. Among the many things that The Walrus magazine is noted for is promotion of itself and its events, a critical skill for a magazine that needs to raise considerable money every year to keep publishing. That is why it was no surprise to see big feature coverage in both the Globe and Mail and the Toronto Star concerning the magazine's partnership in producing high-definition documentaries and today's launch of Walrus TV. Publisher Shelley Ambrose was quoted in James Adams's story in the Globe saying that the deal between The Walrus Foundation and eqhd (owned by High Fidelity HDTV) was a "natural pairing". Fourteen documentaries, ranging from eight to 15 minutes have already been shot, based on published Walrus stories and are now screening on the Walrus site as well as eqhd, High Fidelity's 24-hour digital channel. There are also taped interviews with Walrus writers. More short films are to come, which will first be shown on eqhd and then, five or six weeks later, on the Walrus site. 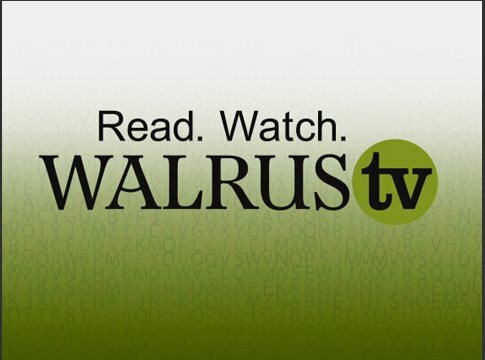 The Walrus intends to sell advertising spots adjacent to the documentaries. The plan is for eq to create one documentary from an article in each of the magazine's 10 yearly issues.High Fidelity also intends to shoot some of the special debates and events that The Walrus hosts. Canadian diplomat Robert Fowler’s first-hand account, from the December 2011 issue, of the harrowing time he spent in the desert after being kidnapped by Al Qaeda. Plus poetry readings from Damian Rogers, Paul Vermeersch, Linda Besner, Jacob McArthur Mooney, and Jeff Latosik. [This post has been updated]Toronto police have announced the arrest of Jason Porter, 37, a Toronto-based publisher of Preston Evans a Canadian luxury magazine and charged him with 23 counts of fraud, money-laundering, traffic in stolen goods and possession of burglary tools. According to the police release, between May and November, Porter would contact single women via online dating sites, presenting himself as a successful businessman, gain their trust and then would open bank accounts and obtain credit cards in their names. The total loss to date is about $40,000. "Many people wondered why we would bring another luxury magazine to a market that already has many titles. The reason being, we knew the existing magazines were not featuring important and quality products for Canadians. We knew that there are men and women in Canada that enjoy having dinner out and not winding up in a below par restaurant, or professionals that want to have a glass of wine or scotch with a hint of culture - maybe with Nina Simone playing in the background. "Preston Evans magazine marries features on fashion and food with finance and family, economics meets entertainment and cars share the spotlight with theatre and travel. Preston Evans gives its highly valued, astute readers an all-inclusive compendium of lifestyle sections, perfectly crafted to meet their very specific wants and needs." "Preston Evans and PrestonEvans.ca is the essential guide for the modern connoisseur. Our content rests on two pillars: Expert Editorial, packaged with the Highest Production Quality." The magazine claims to publish two print issues annually and a daily website. Its extensive online media kit has no information about the circulation of the print magazine and very little hard information about the price of online advertising. A new magazine for technology startups has itself been started up in Waterloo Region. Pivotr is based in Kitchener and is the brainchild of four young entrepreneurs who are exactly congruent with the kind of audience they're seeking. According to a story in the Waterloo Region Record, the print run for the first issue was small -- 2,000 -- and the ads in the first issue were given away, but the team hopes to see the magazine grow and publish monthly by year's end. Robert Bruski, Marius Piatek, Michael Grabowski and Patryk Laskowski came up with the idea over coffee, apparently sparked by the number of startups in the region, now 800 and growing at three to five a week. While all the articles in the first issue were written by the four friends, in the second issue now in production all but one of the articles is written by people working in the startup sector. The name of the magazine is based on "pivoting" -- quickly changing the way you think and do things -- and while the magazine has a website, it is the printed version that is generating buzz, said the article. After years being a Friday night fixture, the National Magazine Awards are being held on a Thursday night this year, sharing the evening of Thursday, June 7 (and the associated overheads) with the Kenneth R. Wilson Awards for business-to-business media. Both events will be held at The Carlu in Toronto, with the KRWs first, then a joint industry reception, then the NMA gala. Responding to requests and feedback from stakeholders, event attendees and industry suppliers, the NMAF and KRWs in consultation with Magazines Canada felt it was advantageous to align the two events on the Thursday night to benefit from cost savings, increase networking between these two sectors of the industry, better accommodate travel and other schedules of Magazines Week, and take advantage of the extra media attention to the award winners afforded by having a weekday rather than a weekend follow the NMA gala. More details about the timing etc. will be available closer to the date. The call for entries in the Kenneth R. Wilson awards for the best in Canada's business to business media is now open, with the deadline for entries February 3 (or, if you'd like to shave the entry fees, the early-bird deadline is January 27). The awards program is co-produced by the Canadian Business Press and Magazines Canada. As with the National Magazine Awards, all written categories are now open to both print and digital submissions. There are also three categories for digital-only submissions: best website; best digital design; best multi-media feature.Entry fees are $135 ($110 early bird). The winners in the awards will be announced at the 58th annual KRW Awards Gala on June 7 at the Carlu in Toronto as one of the highlights of a week of magazine events, including the MagNet conference June 5 - 8 and the National Magazine Awards. Full guidelines for eligibility and rules. Avenue magazine of Edmonton is leading the charge to create a statue or monument of some kind to mark the fact that Edmonton, for all intents and purposes, was Melonville. That was the mythical home of SCTV, which was filmed there at the Global Studios. The magazine points out that Minneapolis has a statue of Mary Tyler Moore, Toronto has one of Al Waxman, the "King of Kensington" and even Rouleau, Saskatchewan keeps the name "Dog River" on its grain elevator to alert people that it was the model for Corner Gas. A petition is available online. "Do you think that there should be an SCTV monument, street name or something else to commemorate Edmonton’s unique place in pop culture history?" it says on its website. "How about a prominently placed sign welcoming people to Melonville? A bronzed Bob and Doug, sitting on a park bench in Churchill Square? A simple plaque? Or maybe a ceremony, festival or annual party?" A fan in Edmonton, Trevor Stenson, has created a website and has tried to identify every Edmonton location where an SCTV skit was filmed. The show originated in Toronto in 1976 but began taping in Edmonton in 1979. -- Vice Media CEO and co-founder Shane Smith, quoted in an article in Forbes by Jeff Bercovici. "I grew up being a socialist and I have problems with it because I grew up in Canada [and] I’ve spent a lot of time in Scandinavia, where I believe countries legislate out creativity. They cut off the tall trees. Everyone’s a C-minus. I came to America from Canada because Canada is stultifyingly boring and incredibly hypocritical. Thanks, Canada." -- Vice Media CEO and co-founder Shane Smith, quoted in a sidebar piece. [This post has been updated] Credit where it is due: the Canadian Writers Group (CWG) has negotiated a new pay grid with Reader's Digest Magazines Canada Ltd. that pays freelancers on a sliding scale based on their experience and how labour intensive a story is. The agreement, reported in Storyboard, a joint website of the CWG and the Canadian Media Guild, also provides an extra fee for reprints in foreign editions of RD. Reader's Digest is Canada's largest circulation magazine and, as such, its leadership in this matter may point the way out of obduracy that has characterized other leading publishers in their dealings with their freelance contributors. To celebrate its 15th anniversary, Alberta Venture magazine has unveiled a top-to-bottom redesign. When publisher Ruth Kelly bought the name and the mailing list and one issue’s worth of paper stock from the provincial government for $100 in 1996, the economic development department had been publishing it as a quarterly broadsheet for 13 years. Kelly relaunched it as a 10-issue-a-year business magazine in April 1997. The magazine's back page will now feature a new column, written by well-known Alberta writer Myrna Kostash. A Q&A section has been added with investing questios answered by Fabrice Taylor and the industry report section has also been given a stronger identity. The magazine's website (which will unveil its companion remake next month) carries an online account of the process behind the new look and content. A digital copy of the new-look magazine is available.